Features: 1.6L Turbo engine, multi-link rear suspension, leather sport seats, 18" alloy wheels and more. Includes Sport features plus: 8" touch screen, Android Auto & Apple CarPlay, Infinity audio, auto-dimming rearview mirror, Homelink and more. Sport enhanced design cues are only the beginning. Underneath the hood is a powerful 1.6L turbocharged engine delivering 201 horsepower and 195 lb-ft of torque. But power is nothing without precision. At the core is the SUPERSTRUCTURE™. 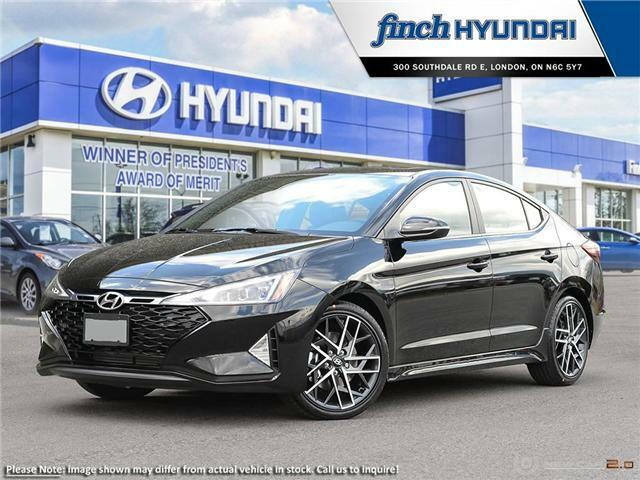 It’s constructed with our Advanced High Strength Steel to deliver an ultra-rigid frame that allows even greater precision when tuning the key suspension components, so that when we outfitted and sport-tuned the Elantra Sport with an independent multi-link rear suspension...you would feel it. Detailed sport accents run along the dashboard of the Elantra Sport. To complement this, the cabin also features a black headliner and blacked-out trim along the shifter and door handles. Heated, leather D-cut steering wheel. The Elantra Sport features a leather-wrapped, D-cut steering wheel that is heated for ultimate comfort and warmth during our Canadian winters. Standard steering wheel-mounted controls also make it easy to access your audio, phone and cruise control settings at the press of a button. Black leather sport seats with red stitching. The seating in the Elantra Sport features heavily bolstered leather front seats with detailed red stitching. The unique front bumper design sets the tone with sharp body lines that frame an aggressive black and chrome front grille. An exclusive “Turbo” badge signals the performance of the Elantra Sport. Exclusive to the Elantra Sport are advanced HID headlights with a blacked-out housing design. Horizontal LED daytime running lights accentuate the aggressive front grille and exclusively designed LED tail lights add extra flare and increased visibility. 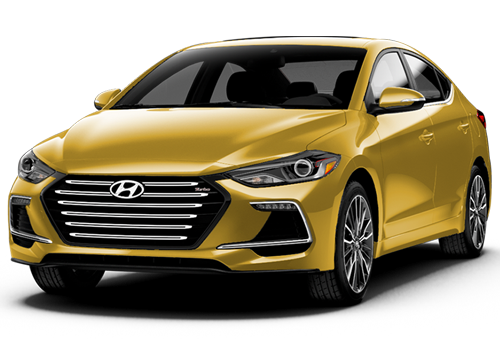 To ensure that the most powerful Elantra ever is also the most fun to drive, the Elantra Sport is exclusively outfitted with an independent multi-link rear suspension designed to elevate on-road dynamics and feel. Standard 18” alloy wheels and larger front brakes add to the dynamic feel on the road and the sporty look. Sport enhanced design cues are only the beginning. 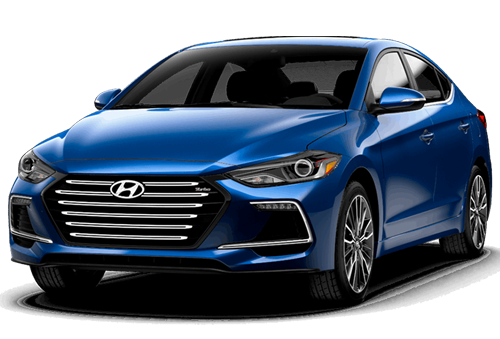 Underneath the hood, the Elantra Sport is powered by a 1.6L Turbocharged Gasoline Direct Injection four-cylinder engine generating 201 horsepower and 195 lb-ft of torque. Choose between a 6-speed manual or available 7-speed Dual Clutch Transmission with steering wheel-mounted paddle shifters. The Elantra Sport is exclusively outfitted with an independent multi-link rear suspension designed to elevate on-road performance. Standard 18" alloy wheels and larger front brakes also add to the dynamic handling and sporty look. Contoured and heavily bolstered leather front seats feature contrasting red stitching. Sink into comfort and wrap your hands around the sporty D-cut steering wheel to take control. Both front seats and steering wheel are heated for added comfort on cold winter days. The unique front-end design sets the tone with sharp body lines that frame an aggressive black-and-chrome front grille. Exclusive to the Elantra Sport, the blacked out headlight housing features newly designed LED headlights. From behind, your gaze will be fixed on the chrome-tipped exhaust outlet and diffuser that seamlessly integrate into the rear bumper. The cabin features unique sport-inspired accent trim along the front dash, a black headliner, black trim along the shifter and contrasting red accents throughout. 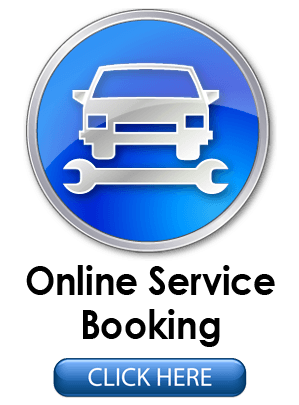 Looking for features that keep you connected? Standard Apple CarPlay™ and Android Auto™ make accessing your favourite apps, like navigation, music and so much more, extremely convenient with the intuitive 7.0" touch-screen display. Open the power sunroof and you’re ready to take in every moment of the drive.